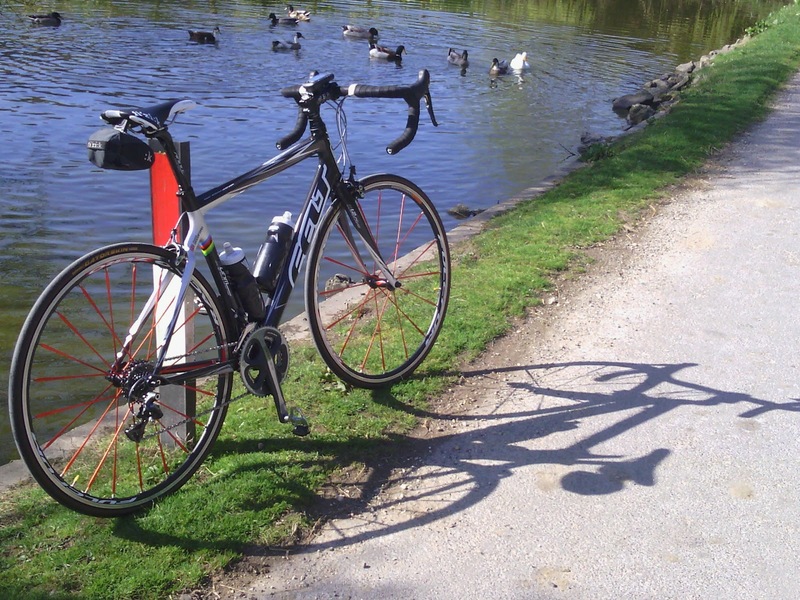 With all the good weather we have been having recently, every day is a bike ride day. This is the earliest in the year that I have brought her out of hibernation. The weather has been so good with no rain for ages that she was crying out for a ride. Some days you can have a good ride and on other days you can have a great ride.......well today was a bloody marvellous ride and to top it all I even completed the loop in the fastest time that I have ever done it .....and it felt good. When I realized that I was on for a good time for the loop I decided that I would only make a couple of very swift stops to take two or three shots with the camera on the new phone that I have been struggling with. The first shot is of Fiona next to a small duck pond that is opposite a farmhouse that I passed. 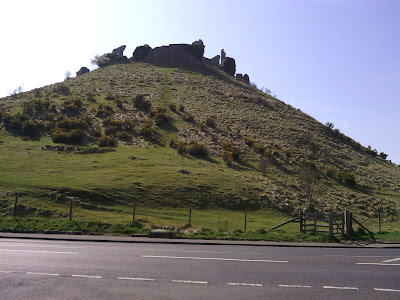 The shot above is of Corfe castle and it is probably the worst direction to take a picture of it, but I had no inclination to go to the other side of the castle for the better view. When your heading for a good training time, you don't want to spoil it by losing too much of that time taking pictures. I am hoping that the good weather continues, because on Friday I am planning on attending a Backpackers Club weekend backpack. I actually intend to do some walking this time rather than using my touring bike. I haven't been on a backpack since before my cancer diagnosis so I am really looking forward to it. Looking forward to the report and photos. I couldn't help but think of all the folks over the ages who thought about attacking that castle and probably agreed with you. About that not being a very nice view I mean. Yes...she does look a bit of a calendar girl...!!! Yes...it is almost impossible to walk up to the castle from this side as it is so steep. Anyone trying to stage an attack would just be sitting targets. This weekend last year I was camping at Corfe Castle. I really must get out with the backpackers again soon - just so much to do. Hi Trevor, Happy Spring..great images and story! Please take note now, I am on a new blog..just click on my name..thanks and cheers to you! Linda :) I hope you are feeling well! Thanks for your comment and I will check out your new blog..